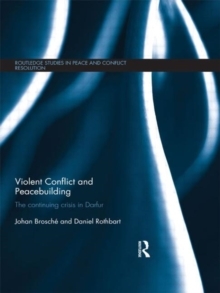 This book examines the continuing devastation in the Darfur region of Sudan, from the perspective of a multiplicity of conflicts of distinct types. 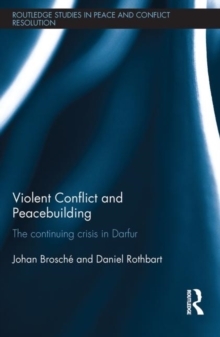 The crisis reached its peak in 2003-2004, when certain Arab militias joined forces with the Sudan armed forces in a campaign against insurgent resistance movements. Engulfed in the tumult, Darfurians experienced systematic slaughter, sexual violence, and internal displacement on a massive scale. Although the violence has waned in recent years, the fighting continues to this day. The authors cast this crisis as a complex web of four distinct, yet interlacing, conflict types: long-standing disputes between farmers and herders and between different herder communitiespolitical struggles between the local elite leaders of the resistance movements, and those between traditional leaders (elders) and younger aspiring leaderslong-standing grievances of marginalized groups against those at the national centre of powercross-border conflicts, primarily the proxy war waged between Chad and SudanThe crisis in South Sudan is also examined through the lens of conflict complementarity. 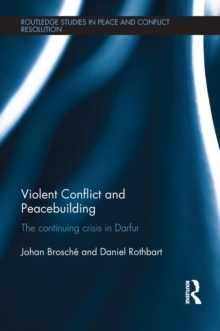 This book will be of interest to students of African politics, genocide, political violence, ethnic conflict, war and conflict studies, peacebuilding and IR.